The undoubted popularity of pickup trucks would be enough to inspire a rumor of an electric powered version. Sales of the popular F-150 have been in the range of 60,000 units in one monthly sales period. It was not a surprise when Tesla CEO Elon Musk reported in an interview that the company planned to build pickup trucks. Providing few details, the report included that the CEO planned to build models based upon the popular, leading U.S. models. There was no precise estimate in the report as to planning or production details, but it was clear that the focus was on consumer grade pickup trucks and not commercial fleet vehicles. The general estimate in the interview dated November 2013, was a five-year window for planning and the follow-on steps. The Huffington Post followed the announcement in the Business Insider website, with notes and analysis. The five-year planning window would coincide with post-production of Tesla Motors consumer level passenger vehicle, planned to market in the $35.000 range in 2018. The market position of an electric pick-up truck is potentially powerful. Market analysis supports the idea. For the leading U.S. manufacturers, pickup trucks are an significant line of business. In the U.S. auto industry, pickup truck sales are a key business element. They are highly profitable items that account for a major portion of gross earnings. For example, the Ford Motors F-150 pickup truck is the best-selling U.S. pickup truck, and overall the top-selling vehicle. 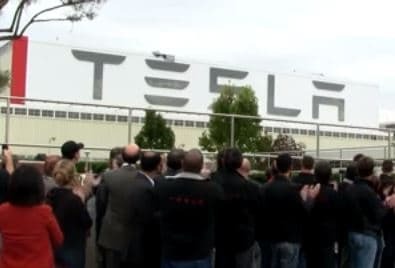 Tesla has a well-known focus on high performance electric powered vehicles. With a trend towards electric vehicles, a high performance electric vehicle in the pickup truck category would create a great deal of interest. The popularity of the pickup truck is clear; the F-150, Dodge Ram, and Chevrolet Silverado models are sales leaders. They are in the top five in annual sales. However, power and load capacity is the basis of their popularity. Tesla electric vehicles and prototypes feature high performance. While no one knows whether Tesla’s focus on performance will translate into a pickup truck, it is useful to note that the company has advanced prototypes in SUV and crossover passenger vehicles. ← How Much To Insure My Pickup Truck?